Thinking of treating the tribe to a fun Christmas themed day out? 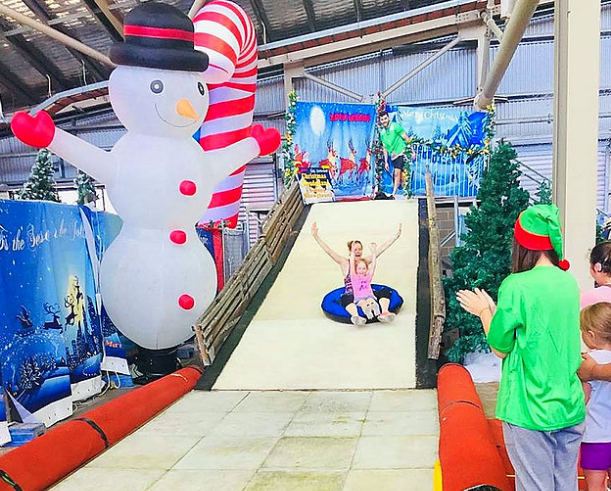 We found 10 awesome Christmas activities for Sydney kids. 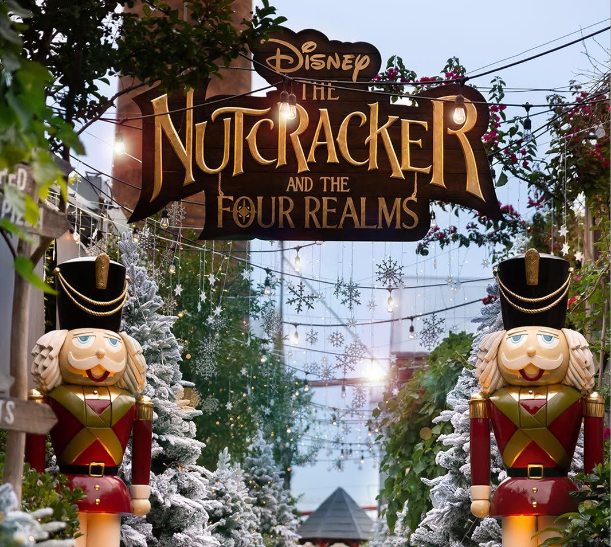 The Grounds in Alexandria has partnered with Disney to celebrate the launch of their new Christmas movie, The Nutcracker and the Four Realms. You can book a table for lunch at The Grounds then wander through the Christmas wonderland. The laneways have been transformed into the realms from the movie including The Land of Snowflakes, The Land of Flowers and The Land of Sweets. You can also order special menu items that come from the realms such as Sugar Plum Soda and Land of Flowers Pink Pavlova. This fun installation will be at The Grounds until Christmas Eve. 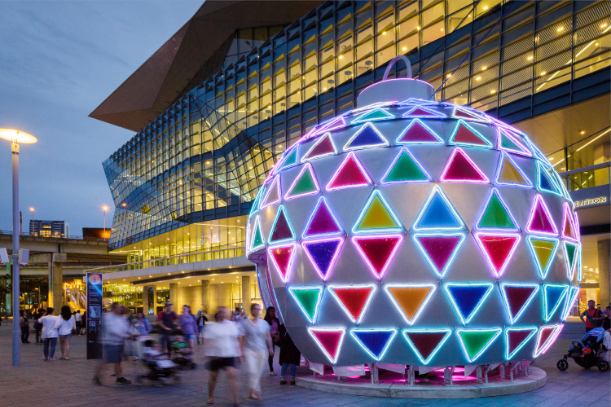 Christmas celebrations have kicked off in Darling Harbour with the arrival of the giant Christmas Bauble which is 6 metres tall and lights up at night. Every Saturday night from now until Christmas there will be a free fireworks display from 9pm, and the Australian National Maritime Museum will also put on a festive light projection show from Thursday to Sunday at 8pm – 11:30pm all throughout December. There will also be Christmas markets throughout December, Christmas Craft workshops, roaming Christmas characters and free screenings of Christmas movies at Darling Quarter Village Green. Auburn Botanic Gardens are transforming into a magical Grinch themed Christmas wonderland from December 8 at 5pm for one magical night. The theme is ‘green’ and the garden will be twinkling with Christmas lights, carol singing, rides, activities, Dr Seuss themed foods and an open air cinema. Bring your own pillow and blanket for the movie and keep your eyes peeled for an appearance from the Grinch himself. This event is free for the whole tribe. This is the ultimate Christmas activity for tribes. 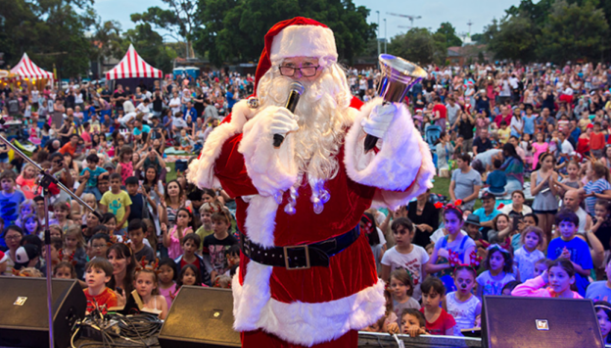 Held at Rosehill Racecourse in Parramatta, a ticket to Sydney Santa Spectacular starts at $35 and includes parking, unlimited rides and unlimited ice skating in Winter Wonderland. Your tribe will also love seeing the snow falling in the new Enchanting Winter Forest, the North Pole walk through, story time with the Snow Queen and of course a ride on the Santa Express where you get the chance to have a meet and greet with Santa himself. 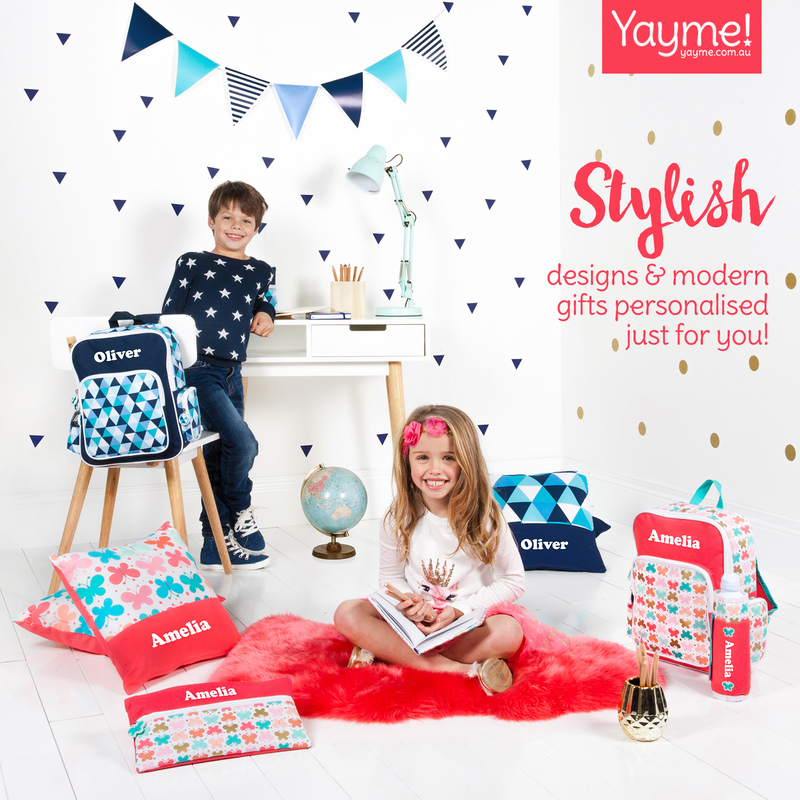 There is something for everyone at this jam packed event. This free family friendly concert is a 2 minute walk from Central Station in Surry Hills, and perfect for the little ones in your tribe who need a shorter show and an earlier performance. MC for the event is none other than Jimmy Giggle who will present performers including Justine Clarke, Splash Dance, The Listies and Ben and Holly’s Little Kingdom. There will also be giant Jenga, table tennis and free Christmas craft activities. You can also buy a $5 Santa stocking jam packed with goodies with all proceeds going to Variety, The Children’s Charity. This show is in Prince Alfred Park and goes from 6:30pm – 8:30pm. 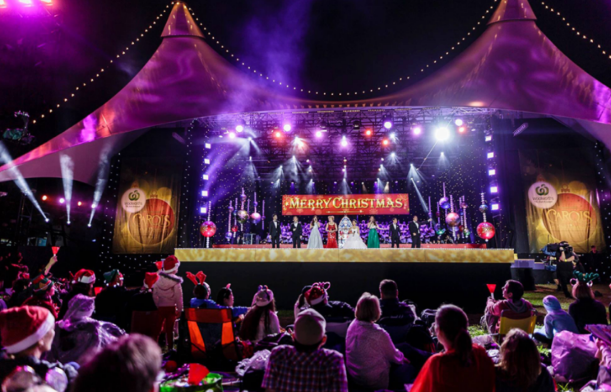 Carols in the Domain is the ultimate Christmas Carol event. Artists performing this year include Samantha Jade, Paulini, Thirsty Merc and a magical appearance from Disney’s own star, Mickey Mouse. The event starts at midday with sampling and catering, then the pre-show entertainment kicks off at 3pm. The carols start at 7:45pm and the show wraps up at 10:30pm. The best way to get to Carols in the Domain is by public transport so plan your trip ahead! If you are looking for an ultimate Christmas wonderland, you can’t go past Christmas Wonderland Sydney. 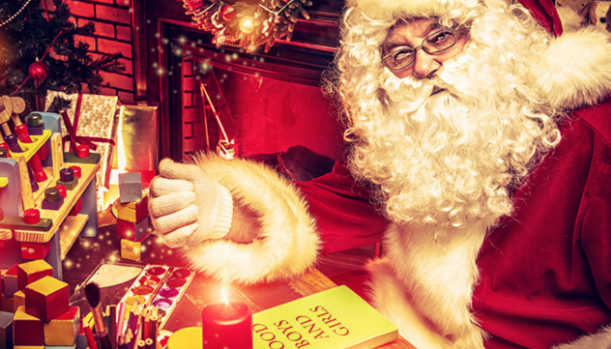 Your ticket gets you entry to Santa’s Inflatable World, the Enchanted Christmas Village, Candy Cane Land, Jolly Elve’s Workshop, Toy Land, Gingerbread Land and more! You will also get unlimited carnival rides, ice skating and winter tube sliding. 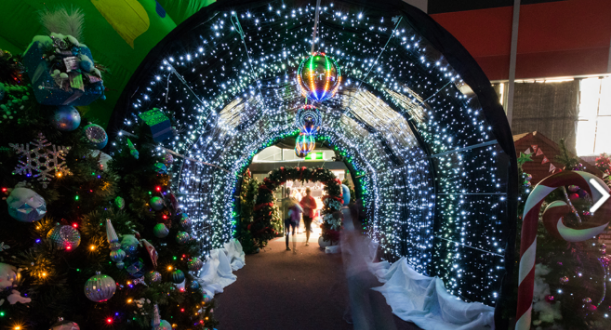 Christmas Wonderland Sydney runs from December 15 – 24 at Sydney Olympic Park. Tickets are $41.98 each. 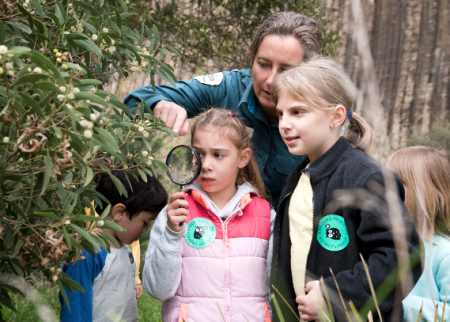 If you need to do some Christmas shopping, you can book your tribe in for a whole day of Christmas craft and gift making at the WILD Play Discovery Centre in Centennial Park. For $39 per ticket, kids aged 5-12 years can stay from 1pm-3pm on Saturday, December 15 or Saturday, December 22 and get hands on with different art mediums and natural materials and make some gifts that the whole family will love. Dress ups are encouraged and there is also a full day program with lunch included upon enquiry. 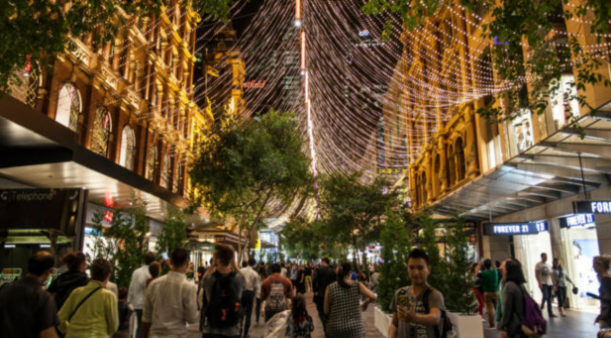 Take in the twinkling lights of Pitt Street Mall with over 94,000 LED Christmas lights suspended in a canopy above. The lights go on every day from 6pm and there will even be carolers singing merry tunes in the area if you’re lucky. Or head to Martin Place to see Sydney’s spectacular Christmas Tree light show. The light show happens every night on the hour from 8pm.